The Association of British Insurers (ABI) has given its backing to a new campaign to raise awareness of illegal 'ghost broking' scams among young motorists. 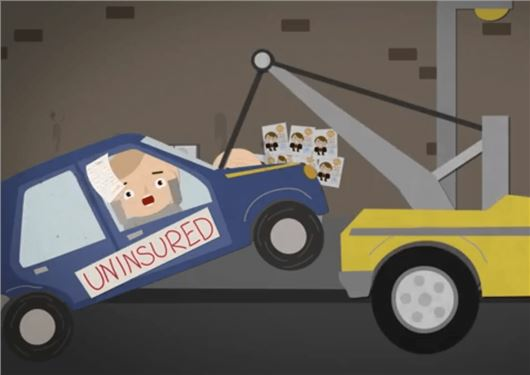 The Get a Real Deal campaign aims to raise awareness of illegal 'ghost broking' scams among young motorists and the campaign has an animated video to warn youngsters about being ripped off by fraudsters selling fake car insurance. Ghost brokers prey on young drivers paying the highest premiums by offering ‘cheap’ deals online and in person by the roadside, in restaurants and cafes and even on university campuses. However, the fake policies are often not worth the paper they are written on and leave young drivers open to the dangers of driving without valid insurance, which could lead to large fines and their car being seized by police. Fake insurance is a growing problem in the UK and the City of London Police has created a dedicated unit to tackle the problem – the Insurance Fraud Enforcement Department (IFED). Detectives from IFED recently arrested 27 suspected ghost brokers in a series of dawn raids across the country and more arrests are promised as law enforcement agencies look to tackle rogue insruance traders. An ABI spokesperson said: “While it is difficult to accurately quantify the size and scale of ghost broking, several high profile criminal convictions highlight that it remains a concern. And with consumers searching for competitively-priced motor insurance the issue is not going away. Get a Real Deal is a joint campaign between The Insurance Fraud Enforcement Department (IFED), The Insurance Fraud Bureau (IFB) and Crimestoppers UK. To see the campaign's video to warn youngsters, click the link below.